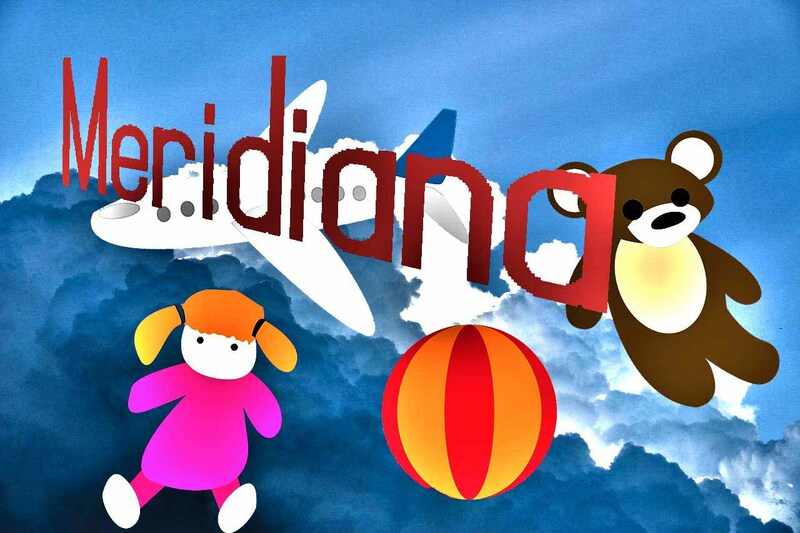 Have you planned a trip by plane with your children with Meridiana? In this section, you will find lots of practical information and answers to the most common questions. Please note that the rules may vary depending on the airline used. Those shown below, only valid exclusively on Meridiana flights. The carrier defines NEONATI all the children with an age between 0 and 2 years not completed. From 2 to 11 not completed, they are considered CHILDREN. Based on this classification, the relevant rate will be paid at the time of booking. Children from 11 years old, pay the adult rate. It is important to remember that bookings MUST always be made, based on the age that the infant / child will have at the time of the trip! In the case of unaccompanied minors, Meridiana accepts on its flights only children from 5 to 14 years completed. Children must be provided with valid identification documents, in addition to the accompanying declaration. More info from this link. Meridiana also offers a special service for unaccompanied minor volunteers, for children from 14 to 17 years. More info on the official website. Infants up to 2 not completed, always travel in the arms of a parent or their carer. It is possible, however, to let the newborn occupy a place. In this case, the booking must be made through the Meridiana special assistance office; in this case, it will be necessary to bring a special seat, approved for weight and age. In the presence of only one adult, only one infant can travel. From the 2 years completed, the children will have to buy a ticket and occupy their own seat. Those traveling with children with Meridiana can always check in online. The rules are those dictated by the company. Meridiana pays special attention to families and children. You may be able to carry your stroller on board, as long as it is not bulky, and perfectly foldable. Otherwise, the ship's personnel will board it in the hold at no cost. Keep in mind that the stroller will be considered hand baggage. All travelers who buy a flight with Meridiana, are always entitled to carry a standard hand baggage, included in the price. This baggage must have a dimension of 55 x 45 x 20 cm and a maximum weight of 8 kg (10kg for flights to / from Brazil). Even the baby is traveling without a seat, have the right to bring on board hand luggage, whose deductible is 10kg. Airports allow strollers to enter the boarding areas. In this way, it will be more convenient to bring the child, or newborn, with you. Once you reach the door of the plane, the staff will mark it and board it for FREE in the hold or, as indicated, on board. Infants who have bought a seat can carry, in addition, a homologated car seat. * Soya milk; milk powder; breast milk or cow's milk specific for children; baby food. Homogenised and pureed, brought in containers not necessarily sealed and with a volume even greater than 100 ml. It is possible that, for reasons of safety, it is possible for the controls to be requested from the adult who carries it, to taste it. * Sterilized water, for a maximum of one liter, inside a baby bottle. Also in this case, it could be requested to the adult, to the controls, to taste it. * Newspapers drugs (paracetamol, creams against nappy rashes), liquids, creams and ointments in containers to the maximum 100 ml, sealed in a transparent envelope.